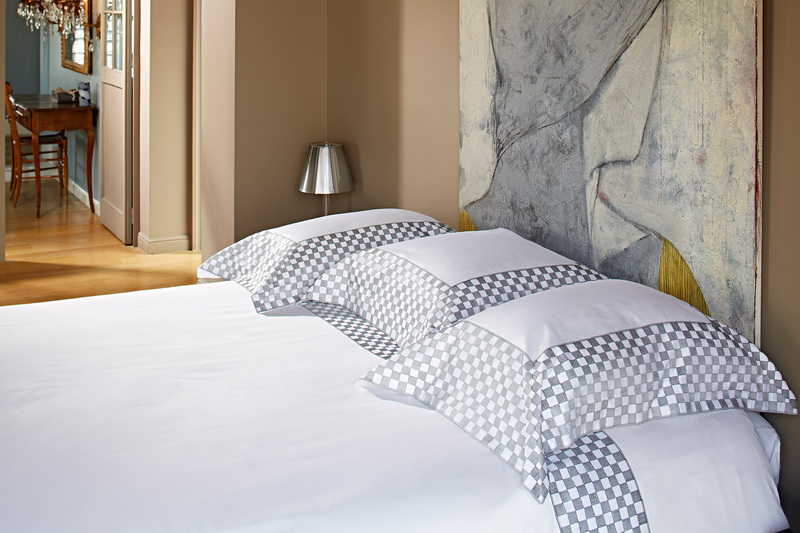 A bed in white pure Egyptian cotton satin embroidered in STEEL GREY. horizontally on the duvet covers and sheets. The shams framed by the same embroidery named MAROSTIC A from the city in the Venice region where one finds a huge game of Chess. It is on the Castle Square (piazza Castello), in front of the lower castle, that a game of chess takes place with live people dressed in costumes from the XVth century.